SchoolCity Scan is a non-browser based scanning application that is available in the SchoolCity SUITE. This Windows-based application allows for features such as: bulk scanning (mixed assessments within one scanning batch), student search, manual input screen (if for any reason the paper version will not make it through the scanner), and PDF scanning. The following instructions will guide you through the steps to install the SchoolCity Scan app. Please see the Help document, Score: Scoring with SchoolCity Scan, for more information on using SchoolCity Scan to score assessments. From your SchoolCity SUITE Launchpad, click on the Help icon “?” located on the upper right of the Top Menu Bar (white bar). Scroll down to the Other Resources section of SchoolCity SUITE HELP. Click on the newest SchoolCity Scan [District name] Installer. Chrome: Bottom left corner of your browser window. Mozilla Firefox: Receive prompt to Save File and it will be available in browser downloads. Internet Explorer: Bottom of web browser window. Click to Save or Run File and proceed to install. 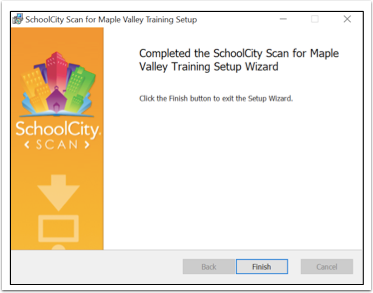 The SchoolCity Scan Setup Wizard window will appear. Click Next and follow the sequence (left to right, top to bottom), then select Finish in the last step. The SchoolCity Scan icon will appear on your computer’s desk top once the installation is complete. 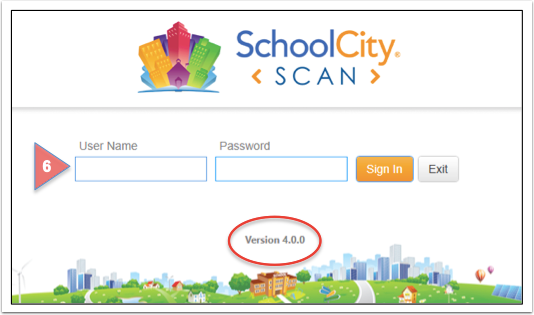 Click the SchoolCity Scan icon in order to log in. Log in using your SchoolCity SUITE User Name and Password. The Version should be 4.0.0. 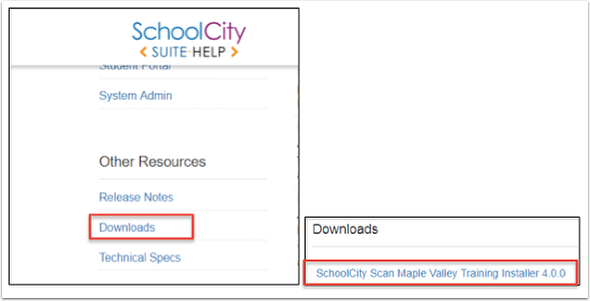 Once you are logged in to SchoolCity Scan, plug in your compatible, twain-compliant scanner. Click Configure in the top right corner of the screen. 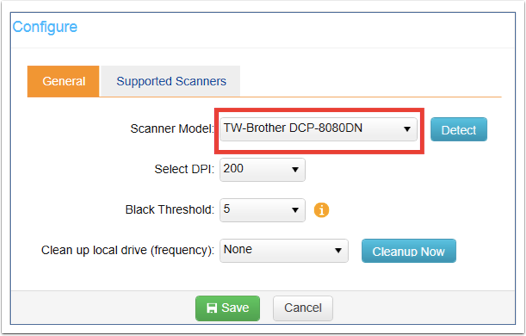 Click Detect and select your scanner from the drop down list. 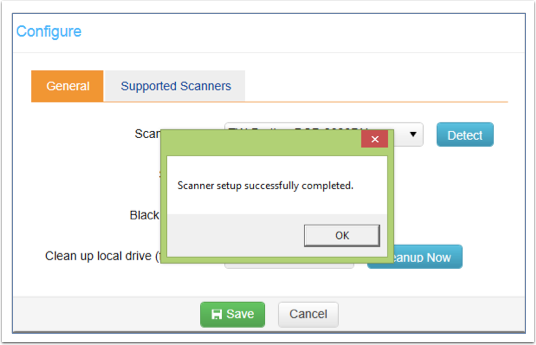 After clicking Save, you will receive the confirmation message “Scanner setup successfully completed.” Click OK to continue. If the scanner is not connected or the proper twain driver is not installed, you will receive an error message stating, No Scanner detected.